What have caries and conflict got in common? We all know that if you don’t maintain your dental hygiene, the acid created by caries seeps through the pores in the enamel, ultimately resulting in a cavity. Similarly, if you don’t maintain your team culture and ignore conflict when it arises in the hope it will go away, it can seep into your practice and put a hole in your patient numbers and revenue. After all, who wants to be treated by a disengaged employee? Conflict is a natural form of problem resolution. When something goes wrong in a collaborative environment, the problem needs to be solved. When emotions get in the way of finding an effective solution, conflict can occur. This is particularly evident in a team environment - where different personality types, communication methods and working styles need to sync to reach collective goals. While it’s normal for conflict to arise every once in a while, if conflict is re-occurring or it gets in the way of reaching practice objectives, it can become a big problem. 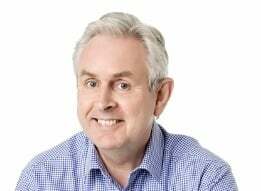 Why does conflict occur in dental teams? Some of the main reasons conflict occurs in dental teams include a lack of effective communication, competition, personality differences and underperformance. What to do when conflict does arise? The best thing to do when conflict arises in your team is to address it head on. If conflict goes unresolved in a team environment, it can fester and cause big and costly problems. At the very least, it can cause a communication breakdown among your team members and at worst, it can increase staff turnover, and negatively impact patient satisfaction and practice revenue. When conflict arises, the practice leaders have an opportunity to strengthen communication and trust within the team. To be effective, leaders must calmly and objectively address the issue with a direct conversation. Coming to a resolution will involve setting clear intentions, being considerate of both sides and encouraging input. In some cases conflict can’t (and shouldn’t) be avoided in the practice, but there are many ways to reduce the likelihood of it occurring. Here’s what you can do. Choosing the right people for your team can help to minimize conflict. By hiring people based on not only their experience and qualifications, but more so their personality type and working style, you can ensure they’ll fit in with your workplace culture. JobFit is a great tool for selecting the right candidates. JobFit uses objective data to identify the attributes that will make a candidate most successful in the role, like personality, behavioural traits and occupational interests. By selecting candidates based on these attributes, you can handpick personality types that are likely to meld with your existing team members and workplace culture. One big mistake you can make when conflict arises is to ignore it. Conflict can be uncomfortable to address, so many dentists and practice managers tend to put blinders up when there is tension in their team. While it might seem easier to just ignore it, conflict that goes unresolved will not disappear. Unresolved conflict can reduce productivity, damage morale and cause disengagement within your team. To minimise the likelihood of conflict occurring, look for tension points and address them before they become a problem. Having regular one-on-one meetings with each member of your team provides a forum for giving and receiving feedback, building trust within your team and making sure communication lines are strong and effective. One-on-ones also give you an opportunity to identify tension and problem areas. One of the main causes of conflict is ineffective communication. When team members don’t feel comfortable communicating with every member of the team, tension is given an opportunity to brew and cause problems. To foster communication, be sure you regularly discuss individual and team wellbeing, be approachable, and most importantly try adopting a coaching mindset. A coaching mindset is all about facilitating an environment in which individuals can grow, develop and solve their own workplace problems independently. A team coach works with teams to strengthen lines of communication and streamline collaboration so that individuals can work more effectively together. A coach provides non-judgmental support, ensuring the welfare of the team and can give teams the tools needed to address tension when it occurs. Team coaching can also help individuals gain a coaching mindset so that they can communicate more effectively and support their teammates to do the same. To find out how your team could benefit from team coaching or JobFit tools, contact us today for an obligation free discussion. 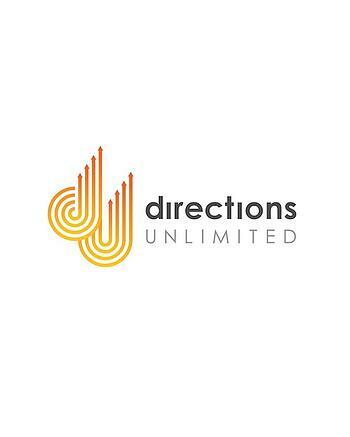 About Directions Unlimited: We are a specialist provider of customised people solutions and services to local and international clients. We provide state of the art assessment and development solutions to help you select, match, on-board, manage, develop, engage and retain top talent.